The United States Medical Licensing Examination (USMLE) is a series of examinations for obtaining medical licensure in the United States, divided in 3 separate tests (Step 1, 2 Clinical Knowledge, 2 Clinical Skills). You can take these exams in any order. Step 3 is separate and can only be taken after the previous ones have been completed. What is the purpose of the USMLE steps? “The USMLE assesses a physician's ability to apply knowledge, concepts, and principles, and to demonstrate fundamental patient-centered skills, that are important in health and disease and that constitute the basis of safe and effective patient care. Each of the three Steps of the USMLE complements the others; no Step can stand alone in the assessment of readiness for medical licensure.” (From www.usmle.org). In order to be eligible for registration, an international student or medical graduate must be enrolled in or a graduate of a medical school outside of the United States that is listed in the International Medical Education Directory (IMED) that meets the Educational Commission for Foreign Medical Graduates (ECFMG) criteria. An international graduate must apply and register via the ECFMG and Oasis websites. Please refer to the ECFMG article for detailed information. These exams are the fundamental for a successful application. Step 1 score is often used as a filter by many programs to decide on whether or not to interview an applicant. In general, it is expected that international medical students or physicians need to perform better on this exam than their U.S. counterparts for consideration for the same residency positions, which is reflected in available match statistics released by the National Resident Matching Program (data is currently available only for Diagnostic Radiology applicants in 2016, see the section on “Pathway to the Match as an IMG) for details). While Step 1 and 2 CK are reported in three digit scores with a minimum passing score, Step 2 CS (Clinical Skills) exam is a Pass/Fail exam. Having a failed attempt in any of these exams may significantly decrease your chances of getting interviews. Acing your USMLE exams will not only help you obtain interviews, but will also be a huge step in organizing medical knowledge in your brain, the same knowledge that you will be using every day in your future career. Radiologists in general and, particularly, interventionalists, interact with clinicians from all the other specialities and are expected to have the highest fund of knowledge of all. You will be performing procedures on every part of the body during your residency, fellowship and maybe your practice. You may be working with orthopedic surgeons to embolize a bone tumor in the morning, declotting a stroke in the afternoon, then grafting a AAA at the end of your day. “Step 1 assesses whether you understand and can apply important concepts of the sciences basic to the practice of medicine, with special emphasis on principles and mechanisms underlying health, disease, and modes of therapy. Step 1 ensures mastery of not only the sciences that provide a foundation for the safe and competent practice of medicine in the present, but also the scientific principles required for maintenance of competence through lifelong learning.” (From www.usmle.org). Step 1 is a one-day, 8 hour long examination. It is divided into seven 60-minute question blocks. The number of questions per block is not fixed and will vary based on the complexity of each, but will not exceed 40 per block and 280 for the entire test. Scoring is reported in 3 digit scores ranging from 1 to 300 with most US examinees scoring between 140 and 260. 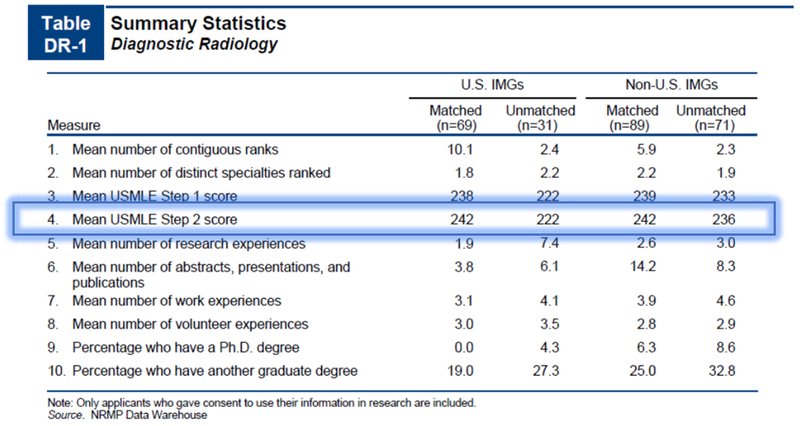 Mean Step 1 score for U.S IMGs and Non-U.S. IMGs matching into Diagnostic Radiology was 238 and 239, respectively. Most scores of matched IMG candidates (U.S. and Non-U.S. nationals) were between 241 and 250. 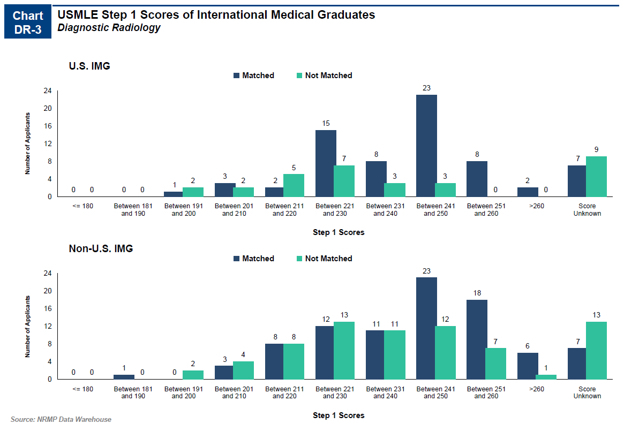 The above chart displays the Step 1 scores by specialty for matched and unmatched U.S. IMGs (top panel) and non-U.S. IMGs (bottom panel). The horizontal bars are the median values for successful applicants and the vertical lines show the interquartile ranges (IQR, the range of scores for applicants excluding the top and bottom quarters of the distribution). Specialties with too few data points lack the vertical bar. Essential Kaplan USMLE Step 1 Lecture Notes 2018: (7-Book Set) 1st Edition (Kaplan Medical). Rapid Review Pathology, 4th Edition (Edward F. Goljan). We strongly advise to have a book for exam preparation along with a questions bank. First Aid along with the Usmle World question bank are the essential tools for the exam. It helps to take self assessment tests (https://nsas.nbme.org/) at different stages of your studying journey to evaluate the need for adding further studying material (a book, a question bank). Take your time to study, do as many questions as you can, and do not walk into an exam unless you are happy with the sample test results. The USMLE Step 2CK is entirely multiple choice based exam, arguably the second most important score for international medical students and graduates. It is designed to evaluate clinical knowledge, assessing “whether you can apply medical knowledge, skills, and understanding of clinical science essential for the provision of patient care under supervision and includes emphasis on health promotion and disease prevention. Step 2 ensures that due attention is devoted to principles of clinical sciences and basic patient-centered skills that provide the foundation for the safe and competent practice of medicine under supervision.” From www.usmle.org. Step 2 CK is a one-day examination. It is divided into eight 60-minute blocks, administered in one 9-hour testing session. [...] The total number of items on the overall examination form will not exceed 318 items. 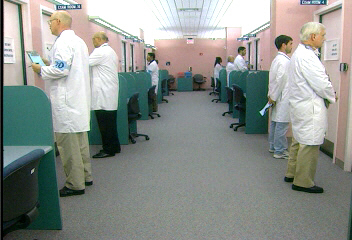 Regardless of the number of items, 60 minutes are allotted for the completion of each block.” From www.usmle.org. Scoring is reported in 3 digits, as with Step 1. 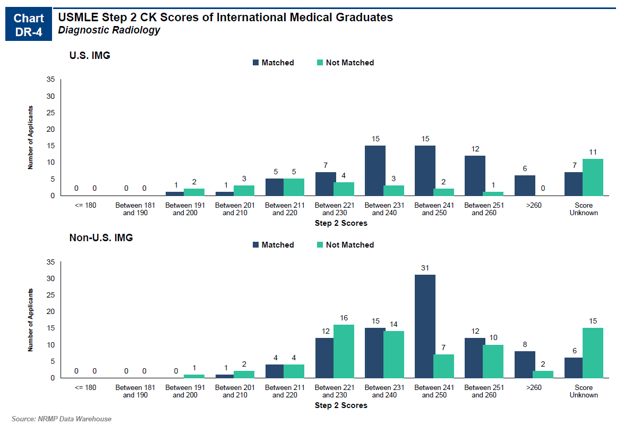 As you can see, mean Step 2 CK score for U.S IMGs and Non-U.S. IMGs matching into Diagnostic Radiology was 242 and 242, respectively. Most scores of matched IMG candidates (U.S. and Non-U.S.) were between 231 and 250. Kaplan USMLE Step 2 CK Lecture Notes 2018: (5-Book Set), 1st Edition (Kaplan Medical). The USMLE Step 2 CS is a live, interactive assessment of clinical skills - you will actually be examining patients (actors). In addition to assessing clinical examination and diagnostic workup of the exam takers, it measures appropriate patient interaction and communication skills, which are the most challenging parts of the exam for IMGs. From http://www.usmle.org: “Step 2 of the USMLE assesses the ability of examinees to apply medical knowledge, skills, and understanding of clinical science essential for the provision of patient care under supervision, and includes emphasis on health promotion and disease prevention. [...] Step 2 CS uses standardized patients (actors) to test medical students and graduates on their ability to gather information from patients, perform physical examinations, and communicate their findings to patients and colleagues. USMLE Step 2 CS is a pass/fail examination. In order to pass the exam, examinees needs to pass each of the 3 subcategories mentioned above separately. In other words, failing one of these sections will result in a Failed score report and examine will have to take the exam again. Knowledge is important to pass the CS, however, your language proficiency and communication skills are equally if not more important. Many Examinees with no USMLE step 1 or step 2 knowledge pass their USMLE Step 2 CS, while others with stellar scores pass easily. The goal is not to reach the correct diagnosis, but to generate one with a differential, demonstrate that you can come up with a plan for the patient and that you are able to communicate and examine a patient. Most IMGs who fail the CS exam, actually fail the communication skill part. Watch online videos. Learn the small nuances that don’t seem important but can make the difference between pass and fail. Practice, Practice and Practice: with a LIVE partner/a group, and exchange feedback after each case. Walk by the Kaplan Center in the city where you’re taking your exam a few weeks before your exam (or where you live) and you will find many IMGs doing the same thing - this is a great opportunity to practice and share experiences. If affordable, indulge yourself in CS preparation workshops (this might be the only exam preparation course you will need). Doing your US clinical clerkships before the CS exam (especially where you have clinic exposure) is a great asset for passing. You learn how to talk and act like an American doctor (which is actually what you need to pass CS regardless of your actual medical knowledge). Do cases with those who passed their exam. Remain confident during the exam - be comfortable investigating every chief complaint and easily know the next question to ask. Spend your alone studying time making organized lists of questions for each chief complaint. Make it short, simple, conscience and avoid going into irrelevant details. Don’t do overdo the physical exam. It is a 15 minute interaction, you can only do a quick general exam and focused exam and you also need to ask questions, formulate a plan and deliver it. Be polite (e.g, knock on the door, “Can I come in?”, “I’ll push on your belly, this may be uncomfortable”, “Would you like to to help me untie your gown?”). Don't’ rush the patient. Listen to them and expand on their clues (if they told you that they examinees make the mistake of overwhelming the patients with too many questions that, while medically useful, might be irrelevant to the actor (who is not a doctor) and to the purposes of the exam. Be normal and empathic! Don’t use unrealistic standardized phrases, which unfortunately are suggested in many courses, and will not make you look at ease. Maintain eye contact. Build rapport in the first minute or two by keeping eye contact and not writing anything on your paper. Don’t worry, you won’t forget the chief complaint. After that, ask for permission to take notes, and look intermittently in their eyes while writing, and only write positive findings. Prevent emotional disasters. Don’t use the word “cancer”, use neoplasm. Avoid awkward pauses. Write down a mnemonic containing the list of things you’ll be asking the patient before you enter the room. It's a checklist you will refer to during your encounter. Most importantly, if you don’t feel confident enough, reschedule. Take your time, practice more, do more clinical rotations, shadow more doctors. You need to build a large reserve of phrases and be able to respond to the same questions in multiple manners. You should not be improvising so often during the exam. What exam to take first? Best recommendation is to take the step 1 during the medical school when you are fresh in basic science. For graduates, it would be different. It depends on personal preference. If one thinks that his clinical knowledge is more up-to-date, can decide to take step 2CK followed by step 2 CS and step 1. Pros about this option are that you can take your step 2CK fast. On the other hand, so many graduates decide to take step 1 and use it as a foundation for step 2CK. There are a good amount of shared material in between the two. Either pathway will need dedication, hard work and endeavor and one would succeed no matter which one they choose. This is the final examination in the USMLE sequence leading to a license to practice medicine without supervision. The USMLE Step 3 is also a complete multiple choice based exam, taken over two days. It is a broad assessment of clinical diagnosis and management and their application to the defined medical scenario. It is important to note that, in recent years, Step 3 has increasingly emphasized the importance of bio-statistical knowledge as evidence based medicine is becoming very important for medical practice. “The Step 3 examination devotes attention importance of assessing the knowledge and skills of physicians who are assuming independent responsibility for providing general medical care to patients. The first day of the Step 3 examination is referred to as Foundations of Independent Practice (FIP), and the second day is referred to as Advanced Clinical Medicine (ACM). This test day tests your knowledge of basic medical and scientific principles. This includes also biostatistics and epidemiology/population health, interpretation of medical literature, medical ethics, systems-based practice, and patient safety. Obviously, it also tests you on disease knowledge, diagnosis and management, particularly focusing on the use of diagnostic studies. This exam will only have multiple-choice questions on clinical scenarios, scientific abstracts and pharmaceutical advertisements. The first day of testing includes 233 multiple-choice items divided into 6 blocks of 38-40 items. You have 60 minutes to complete each block of test items. This test day assesses your ability to apply comprehensive knowledge of health and disease in the context of patient management and the evolving manifestation of disease over time, focusing on health maintenance, screening and outcomes. Unlike the first day, this test day includes multiple-choice questions and computer-based case simulations. This second day is comprised of 180 multiple-choice items, divided into 6 blocks of 30 items. You have 45 minutes for each block. Question blocks are the followed by 13 case simulations; you have 10 or 20 minutes for each case. Scoring is reported in 3 digits, as with Steps 1 and 2CK, with a maximum score of 300. The minimum passing score is 196. Taking USMLE step 3 before residency application is controversial. Many prefer to take the exam after they started their residency as many of the questions are related to their residency training and programs often cover the cost. Of note, USMLE Step 3 is not required to obtain ECFMG certification. 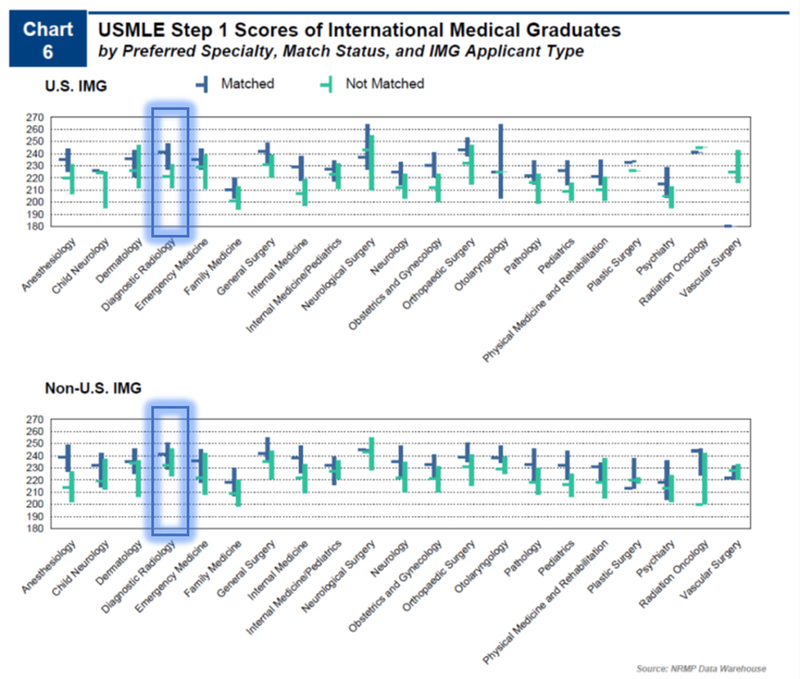 A passing USMLE step 3 score can potentially strengthen the application especially for IMGs although, according to the NRMP 2014 survey, it is the least important factor which program directors consider in offering interviews. Additionally, one must also consider the risk of failing prior or during interview season, as this would be far more damaging than not having the score at all. It ultimately is a matter of personal preference whether to take USMLE step 3 before or after residency application or during residency. Most take it during their first year of residency (internship).